As a former employee of WWF, it probably comes as no surprise to hear that I am a big fan of Earth Hour. 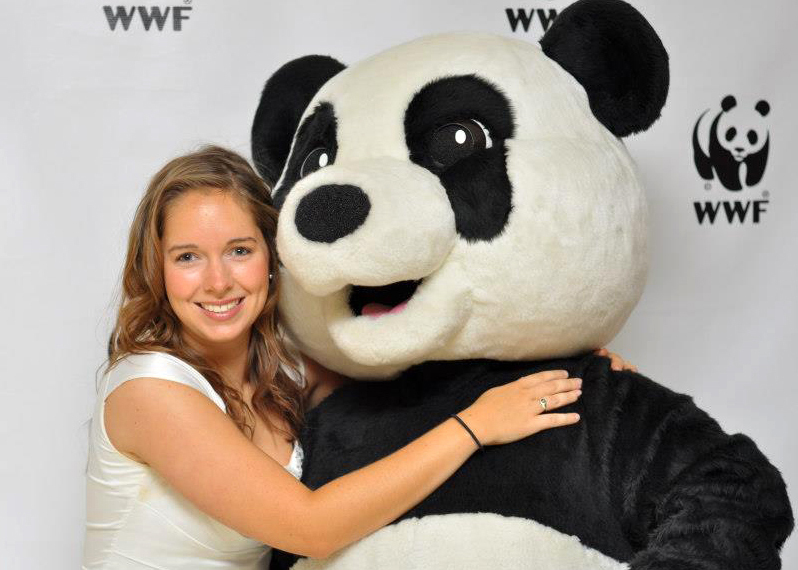 Me with the legend, the WWF Panda. I love taking the opportunity to switch off the lights, power down my apartment and spend screen-free time with my people - but more than all of that, I love feeling connected to my neighbors and community in a collective effort to combat climate change. In a generation when action on climate change is at times, being throttled by political agendas across the globe, I love the chance for ground-up, people-powered change to be made wherever possible and Earth Hour is a great start. Around the globe in 2017, an unprecedented 187 countries and territories took part, more than 3000 landmarks switched off their lights and millions of individuals, businesses and organizations across seven continents stepped forward to demand climate action. … but what if Earth Hour didn’t just happen once per year, but once per week? And what if in addition to being a call-to-action, our electricity savings could make a tangible difference to the resiliency of the electricity grid, reduce our collective reliance on fossil fuels and could earn you $300 per year? 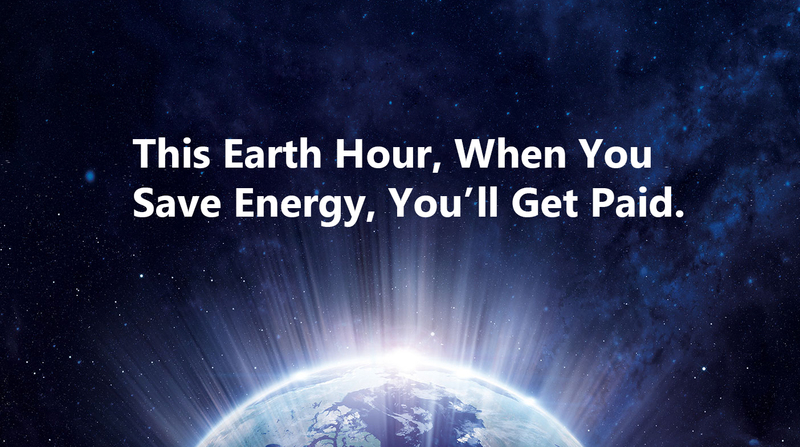 This Earth Hour, Support Action on Climate Change & Get Paid At The Same Time! OhmConnect is a free service available to California residents that will pay you at certain times to help save when the energy grid gets stressed. Instead of turning on another power plant, the OhmConnect community gets into action and saves as much energy as it can. These earning periods are called #OhmHours and during this time, your job is to simply use less energy. #OhmHours are like an Earth Hour only they happen every week, and in addition to the warm fuzzies you get from doing a good deed and catching up on your euchre tournament, you actually get PAID to participate! So what are you waiting for? Save energy and get paid. Let’s enjoy this unplugged Earth Hour night, and then get to work - our voices on climate change are needed more than ever.